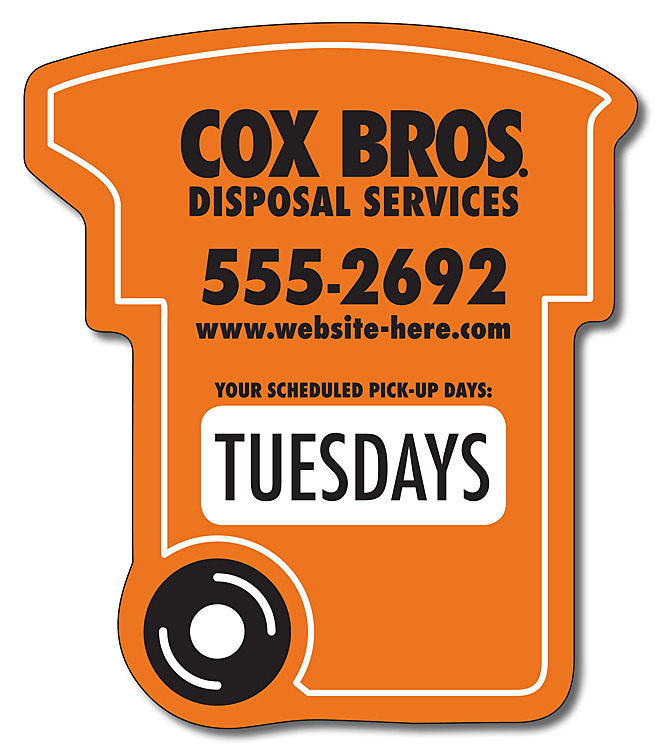 A 3.475 x 4 trash can magnet makes an unusual, but easily dominating advertising choices and it can be sought by advertisers of all genres. This outdoor safe magnet can be imprinted with regular brand information or specialized business information pertaining to discounts, offers, and other special gifting news. It will instantly catch the viewer’s attention due to the novelty of its concept. 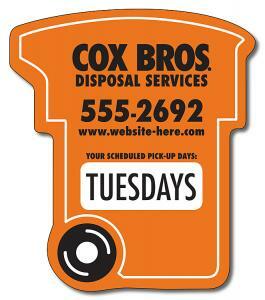 This magnet can be easily imprinted with business information against $1.22-$0.30. Product Size : 3.475 in. x 4 in.